their models as well. Everything on my to-do list is to done. 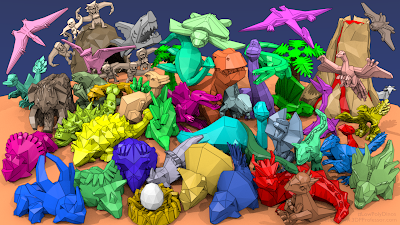 Does this mean that we are done with Low Poly Dinos forever? Oh, heck no. First of all, they're still for sale on my Etsy store, so no ones missing out. Plus, I'm going to be showing the whole thing off when I'm finished with the volcano at local fairs and, who knows, maybe future maker fairs. This project isn't just going into a box, I'm going to be showing it off for a while. I may even try to make a deluxe volcano with nebulizer inside to make it look like it's erupting. But, I do have a lot to do right now. There's building plans to be drawn up, materials to purchase, building to do, equipment to upgrade, and video quality to kick up an order of magnitude. I can't say for sure that I know what's going to happen from here on out. But I do know this. Whatever follows, whatever wonder things happen, this is where it started. 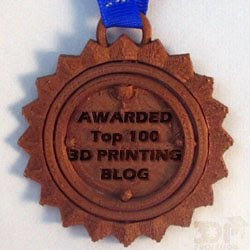 It started with a silly little pack of 3D printable files and 300+ wonderful people who believed in me. I'm going to stop here and continue this thought an email to the mailing list later on today.